PACT has begun a campaign to reduce single-use plastic in Eden. We’ve started by setting up a new Refill scheme for Penrith, with other towns in Eden and across Cumbria getting under way, too. You can now get your water bottle refilled with tap water in more than 20 shops, cafes and other premises in the town centre. We've also been highlighting the problems caused by single-use plastic, including the damage it causes when it ends up in the ocean. You might have seen this in the BBC's Blue Planet 2 series or at a screening of the film A Plastic Ocean. We're spreading the word through our local media, too. You can read a few of our letters to the editor below. Other ways we're tackling plastic - and you can help! Lobbying supermarkets/manufacturers – We’ve begun contacting firms to ask for plastic-free packaging on products. Is there a product you use regularly that could be packaged in something other than plastic? Please write to the manufacturer and encourage them to make the switch. It would be really useful if you could email Nigel from PACT, who’s keeping a log of firms that people have contacted, and what the outcome was. Email: info@penrithact.org.uk. Wider campaigns – Let’s add our voice to national and international campaigns to drive change on plastic use. We’ve listed a few campaigns you can join in with below, and if you come across others, please let us know. Non-plastic options locally – Join the Plastic Free Cumbria group on Facebook, where people are sharing news and ideas for finding products without plastic. Also visit plasticfreecumbria.com for a directory of shops and suppliers of products like toiletries. We’re also looking into bulk-buying discounts for drinking cups and food containers that don't contain plastic, to help more Penrith businesses to move away from single-use plastic. Events - PACT is looking into creating or sourcing a code of practice on plastics at events. We’ve been talking to the organisers of a few of Penrith’s big events, as well as other major events around Cumbria, to talk about how they could reduce plastic such as single-use drinks bottles and food containers. We’ve also been in touch with a national body for event organisers and we’re following up leads they’ve given us with people who have done some work around sustainability at events. Join our new Facebook group, Friends of PACT, where you can chat about plastics and all-things sustainability. 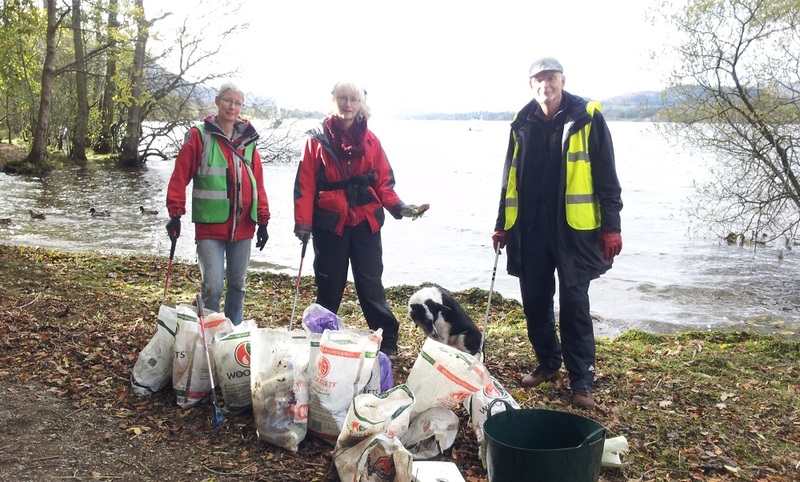 And join the Plastic-Free Cumbria Facebook group. In a nutshell, plastic is having a devastating effect on nature, and it’s now in our food chain, too.